In the early modern period, the term ‘enthusiasm’ was a smear word used to discredit the dissenters of the radical Reformation as dangerous religious fanatics. In England, the term gained prominence from the Civil War period and throughout the eighteenth century. Anglican ministers and the proponents of the Enlightenment used it more widely against Paracelsian chemists, experimental philosophers, religious dissenters and divines, astrologers or anyone claiming superior knowledge. But who exactly were these enthusiasts? What did they believe in and what impact did they have on their contemporaries? This book concentrates on the notorious case of the French Prophets as the epitome of religious enthusiasm in early Enlightenment England. Based on new archival research, it retraces the formation, development and evolution of their movement and sheds new light on key contemporary issues such as millenarianism, censorship and the press, blasphemy, dissent and toleration, and madness. This original and ground-breaking book is a major reassessment of prophetic religious experience in eighteenth century Britain. The author has uncovered a dazzling array of sources to show the importance of prophecy in religious experience in the period. It will be essential reading for all scholars of the Enlightenment. A meticulous study, this impressive work draws on a range of sources now scattered across Europe and North America to make a timely and important contribution to several key debates – notably the relationship between religious enthusiasm and the early English Enlightenment. Students of the early eighteenth century should engage with it. Humbling in his archival tenacity, […] Sure-footed in his presentation, [Laborie] handles panoramas and vignettes assuredly. […] Resourceful in his methodological catholicity, he approaches the Prophets, and ‘enthusiasm’, via prosopography, lexicography, theology, psychology and pathology. […] The book is absorbing, lucid, scholarly, and an essential read for students of both the Anglophone ‘Enlightenment’ and English religious history. In many ways it is a model monograph. Prof. Mark Goldie, University of Cambridge. This is an important book for students of the Huguenots […]. Laborie’s overarching argument emerges clearly: that enthusiastic Christianity was as much a part of the 18th century as rationality and scepticism, and needs to be reintegrated in our understanding of that period. He successfully reinstates religion, and especially enthusiastic, Spirit-led, Christianity, in the story of the 18th-century Enlightenment, from which it has been excluded (or merely consigned to a losing battle against ‘reason’ and Deism) in so many older accounts. Laborie presents his important findings in a thoroughly argued, comprehensive and stylish monograph. His interpretations are rooted in original and wide-ranging archival research traversing Britain, France, Germany and Switzerland with materials comprising pamphlets, manuscript volumes of assemblies, foreign accounts of the prophets’ activities in England, and court records. [He] has opened up new vistas of research into the survival of the French prophets in colonial America, on the continent, and in new forms of millenarian culture such as the development of the Shakers from 1747. 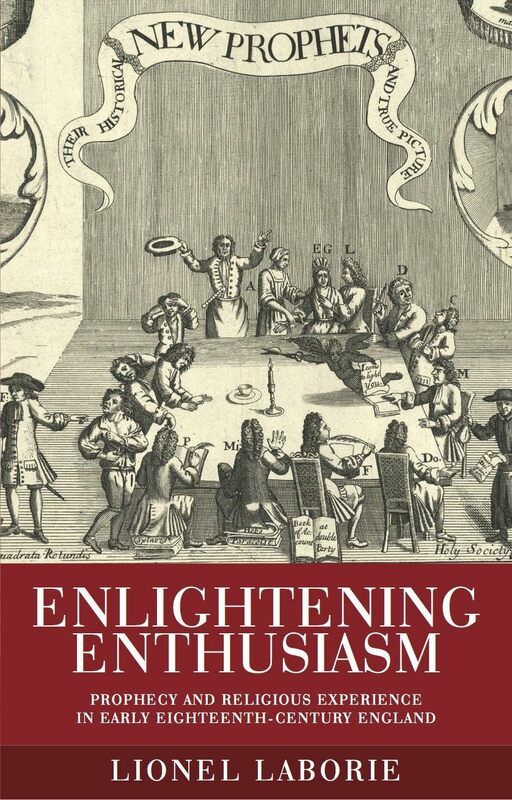 Marshalling an impressive range of sources, Laborie sets out to examine the phenomenon of enthusiasm in early eighteenth-century England, using the French Prophets as his example par excellence. It is among the many strengths of this book that Laborie is able deftly to interweave the story of the French Prophets into his larger analysis of enthusiasm.